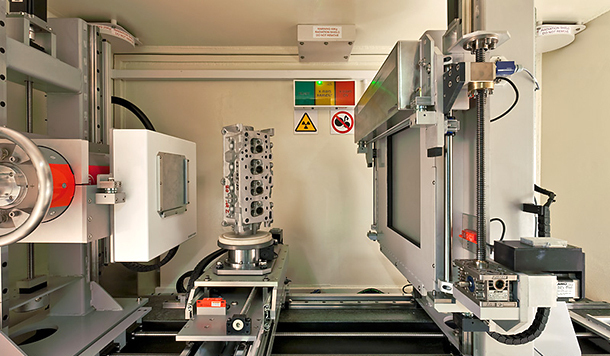 Computed tomography (CT), also called X-ray computed tomography, allows non-destructive inspection and testing of materials including metal, plastic and composites to identify defects and analyze characteristics such as dimension, shape and density. CT produces 2-dimensional and 3-dimensional images of an object derived from flat X-ray images. Adaptive Energy’s CT capabilities include low/high density imaging, micro-focus imaging, and conical techniques. We’ve devised custom CT systems to support critical activities ranging from automobile airbag production quality tests to wind turbine blade measurement and testing. Working in collaboration, our experts will fashion an integrated, easy-to-use system to meet your high priority testing needs.